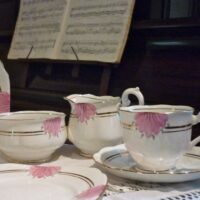 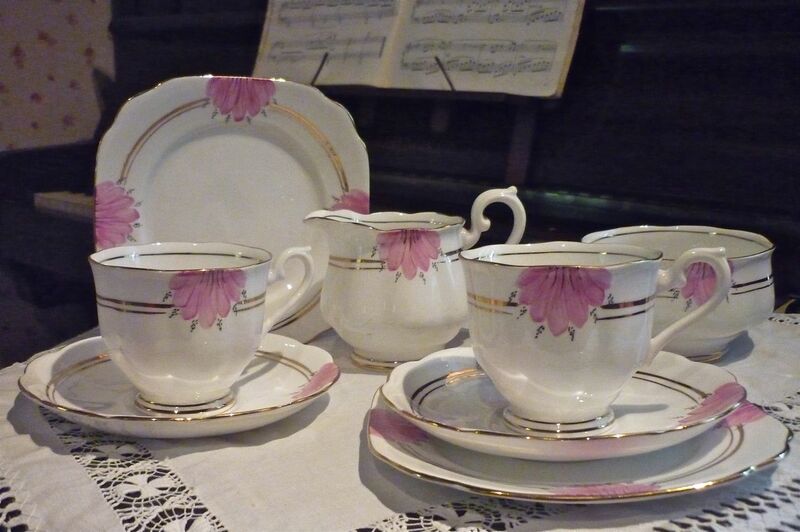 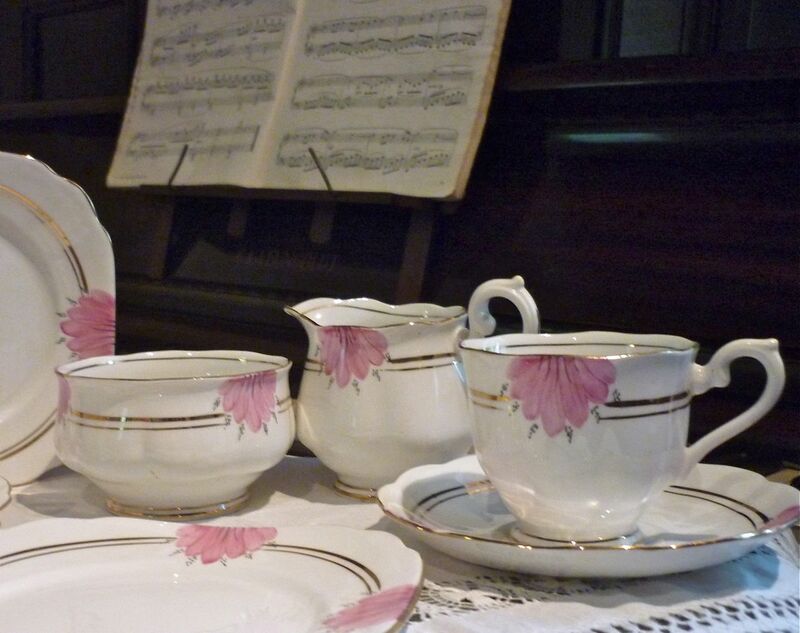 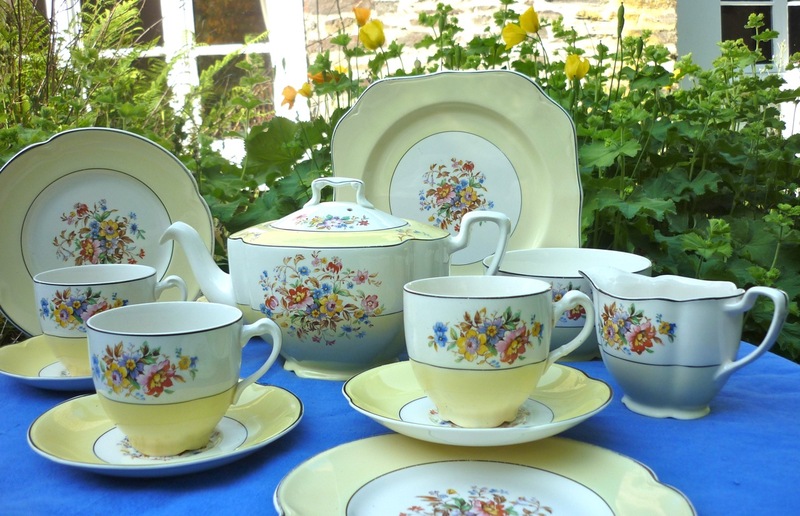 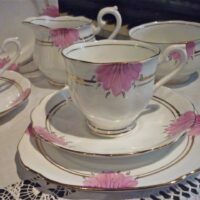 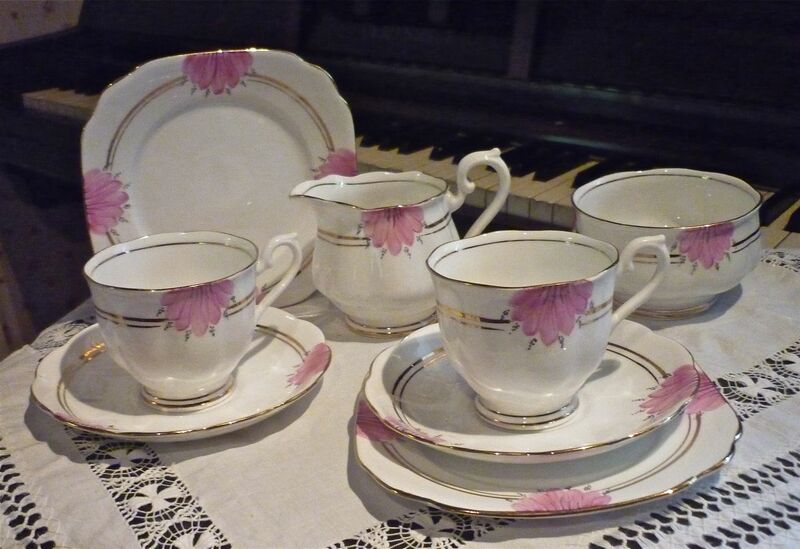 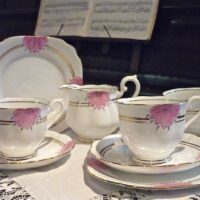 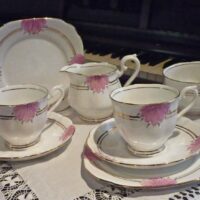 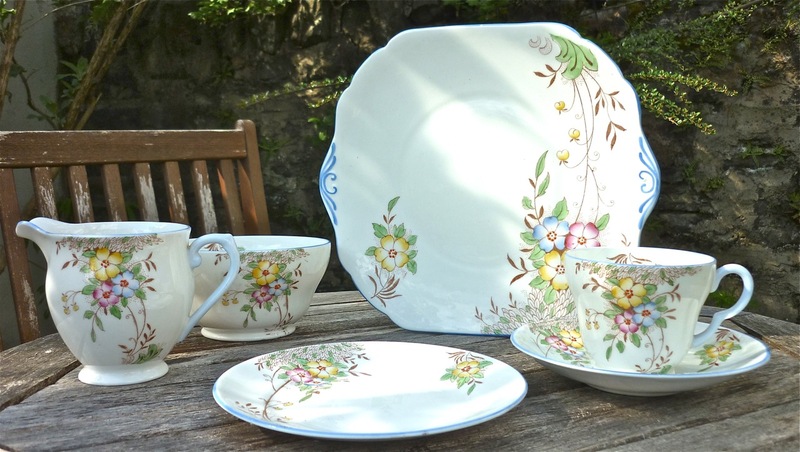 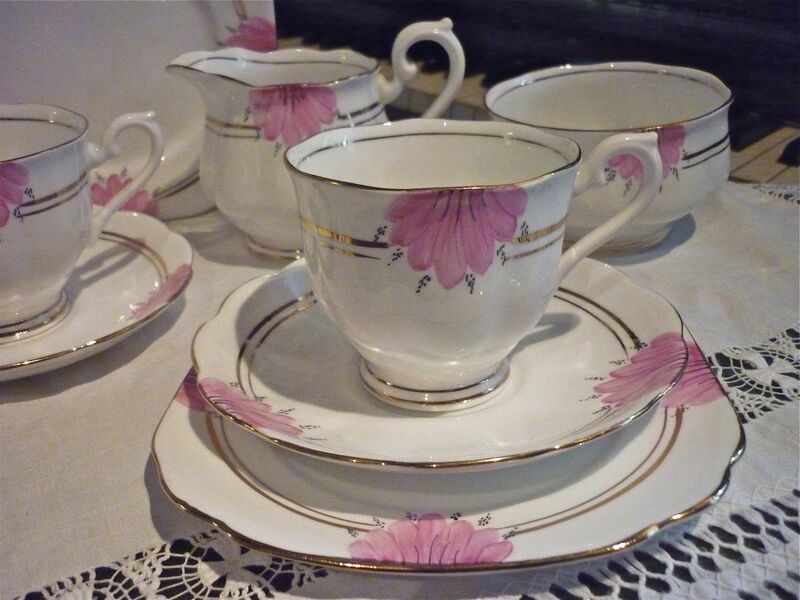 This enchanting tea set is hand painted with pretty pink flowers, and has been outlined in gold. 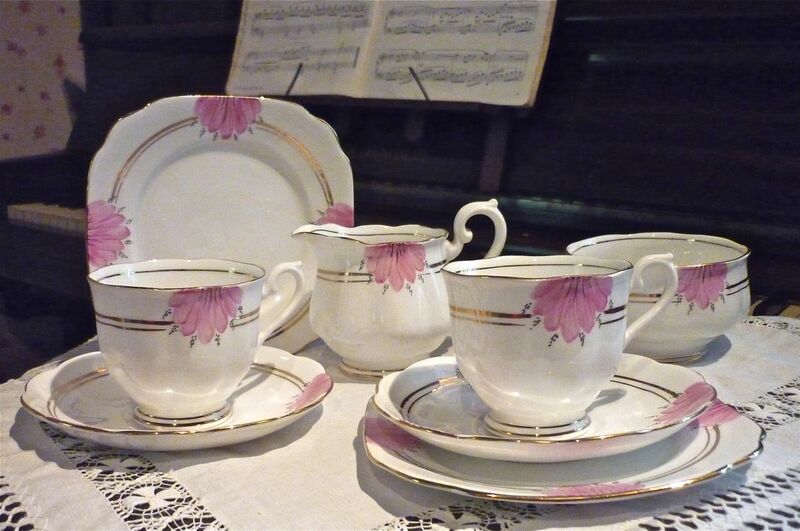 The delicate shape of the pieces add to the dainty effect and the unique style of the handle really adds to the originality of the set. 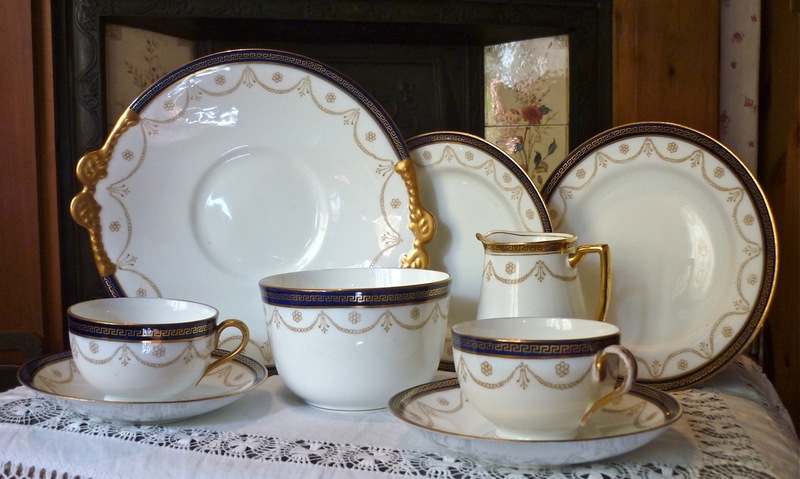 It also has a warm, rich look which makes it entirely unique; I have no doubt that it will grace any area for tea time.